I am a teacher and have been interested in the art of magick for most of my life. I am ready to learn and live the life that my great-grandmother told me to embrace years ago. My chosen element is fire as depicted from my zodiac sign, Aries, which I must say fits perfectly. 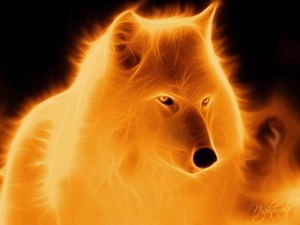 My spirit guide is the wolf; my grandfather helped my find and taught me to have peace with my guide. "Through the eye of the wolf you can see creation."